Our three sawmilling sites represent a unique combination of softwood sawmilling capability and know-how within the Australian and New Zealand timber industry. We cut a range of fit-for-purpose building products with a quality wood chip residue, as well as value-add processing with treatment, lamination and finger jointing facilities. which yields high structural grade properties, as well as access to large pruned sawlog for applications where a superior appearance is preferred. 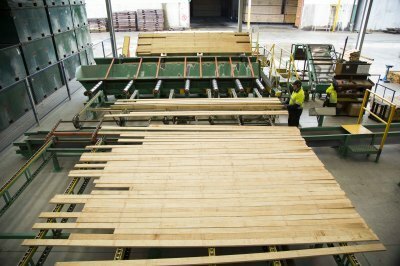 Timberlink has the only large scale, forest integrated plantation softwood sawmilling company located in Tasmania. We directly employ 200 people at Bell Bay as well as using local contractors and businesses wherever possible. Last year we estimated the indirect economic impact of our Bell Bay mill on the local economy to be $150M. At our Bell Bay sawmill (a modern mill, having been commissioned in 2008), we produce our widest range of products with a mix of structural framing, outdoor structural framing, fencing, landscaping, decorative and industrial products. It is also where we produce our patent pending outdoor framing, Timberlink Green Low Odour. Bell Bay was the first mill in the world to produce this product. We developed it with our treatment supply partner Lonza after customers complained about the strong smell of traditional LOSP but wanted to keep stocking it due to its superior stability and appearance. The result was our innovative Low Odour Timberlink Green range. It has 30 times less odour so it creates a more pleasant workplace for our customers and end-users yet still has the proven stability and appearance they prefer. Our Tasmanian resources allow us to produce boards of exceptional appearance. 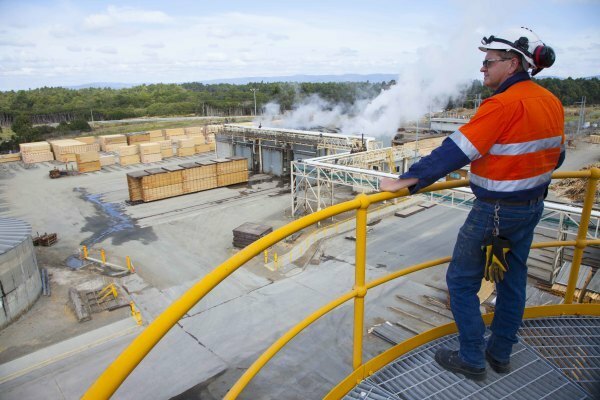 Operating on a 40 hectare site, our Tarpeena mill employs around 200 people. The site is one of the largest employers in the area and plays a key role in the local community. Last year we estimated the indirect economic impact of our Tarpeena mill on the local economy to be $180M. We produce treated and untreated indoor structural framing, outdoor structural framing, and industrial products. Since taking ownership of the mill we have been purposefully and progressively upgrading and improving the mill, installing some of the most high-tech machinery available to improve the quality and stability of our products for our customers. We now use lasers, acoustics, and more to scan the timber both inside and out, improving quality and efficiencies. Tarpeena is also home to Australia's longest Contraflow Kiln. The kiln's clever design uses two tracks to continually move the timber slowly through the kiln in opposite directions. The hot dry wood coming out of the kiln preheats the cold wet wood entering the kiln. It also uses the moisture coming off the cold wet wood and steam coming out of the centre of the drying section to recondition the dry wood as it comes out. This process is gentler and less stressful, improving the stability and quality of our dried timber. Our Tarpeena mill has Australia's longest Contraflow Kiln. Our New Zealand mill is located in Blenheim and employs over 80 people. Blenheim, a town of around 30,000 people is in the Marlborough region on New Zealand’s South Island. Pine grown in the Marlborough region is well known for the stiffness and quality of its fibre. Here we processes a high proportion of pruned, high-grade log which is manufactured into high-grade appearance and decorative products.​ Other products manufactured at the mill include structural timber, our laminated and finger jointed Arrow Posts and mouldings, decking boards and industrial grade timber. ​modern preservative treatment plant and a lamination and finger jointing facility. Timberlink has commenced a significant capital expenditure programme at Blenheim and is in the middle of a three year NZ$10 million plan. This will not only bring ​the mill up to date but make it a safer place to work. Blenheim processes a high proportion of pruned, high-grade log.